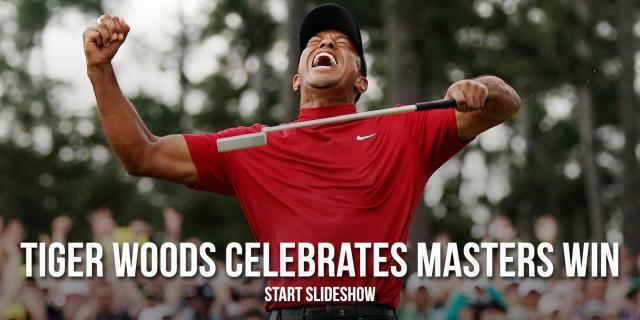 Sunday was a very good day for Tiger Woods, who won the Masters for the first time in 14 years, his first major tournament win in 11 years. It was also a great day for the daring bettors who placed a wager on Woods winning it all at Augusta National. But that also means that it was not a great day for bookmakers across the land, who had to pay out all those Woods bets. One sportsbook that felt it the most was William Hill U.S. in Las Vegas. In the days before the Masters, someone placed an $85,000 bet on Woods donning the green jacket. Nick Bogdanovich, the director of trading, had to call his boss to clear the bet, which was the largest golf bet in the company’s history. He got the nod, and the money was laid down at 14-1 odds. 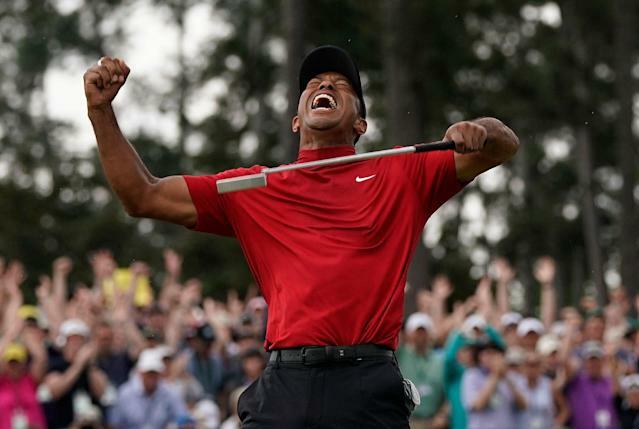 ESPN reported that Sunday’s $1.19 million payout was just the fourth six figure payout in the history of William Hill U.S. And other sportsbooks are feeling the pain of Woods’ win. The SuperBook at Westgate Las Vegas had a net loss in the high six-figure range, which will almost certainly be their largest loss on a golf event ever. ESPN also reported that an offshore sportsbook posted its biggest loss ever, eclipsing not just golf but also the Super Bowl. "I believe my direct quote was, 'Guys, there's no way Tiger is winning this tournament.' Whoops." Of course, sportsbooks losing on Woods bets means bettors came out big. But this win almost guarantees that Woods won’t have odds as long as 14-1 again. Because he’s not an underdog anymore. Woods is back.